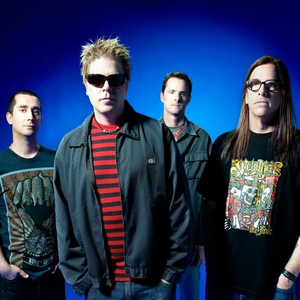 The Offspring is a punk rock band formed in Huntington Beach, California, United States in 1984. Since its formation, the band's line-up had included Dexter Holland (lead vocals, guitar), Noodles (lead and rhythm guitars, back vocals), Greg K. (bass, back vocals), and Ron Welty (drums, percussion), who left in 2003. Their current drummer is Pete Parada, formerly of Face to Face and Saves the Day, who has been with the band since 2007.